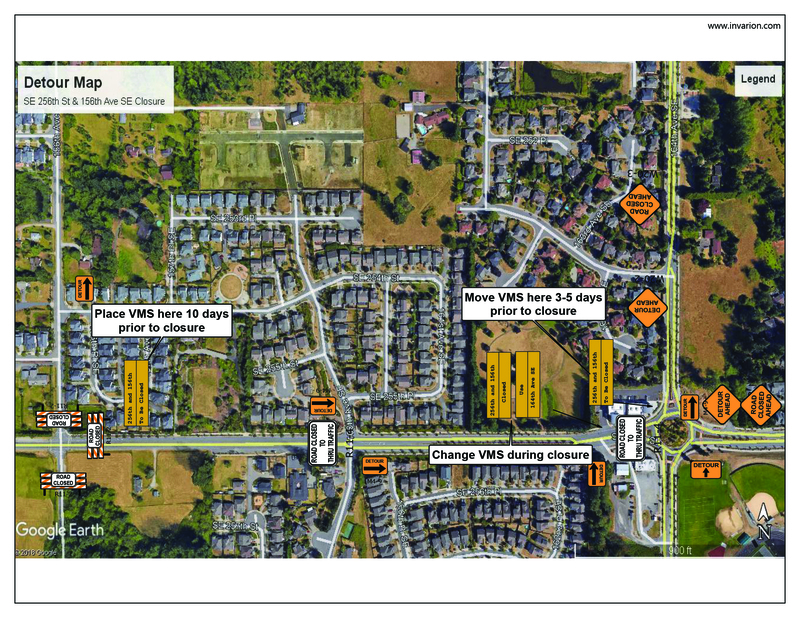 Starting July 9 through July 19, 156th Ave SE will be closed from 8 a.m.-4 p.m. daily for roadwork related to the new Covington Elementary construction. The road will open at 4 p.m. daily to accommodate evening traffic. 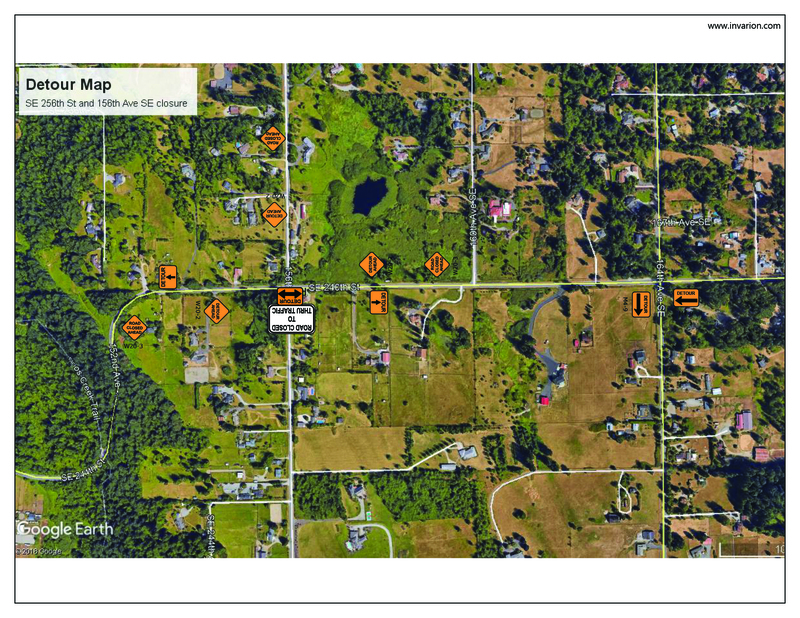 A detour for Northbound traffic will occur at SE 260th St.
Additionally, starting July 16 through July 19, the entire intersection of SE 256th St and 156th Ave SE will be closed as crews rebuild it. 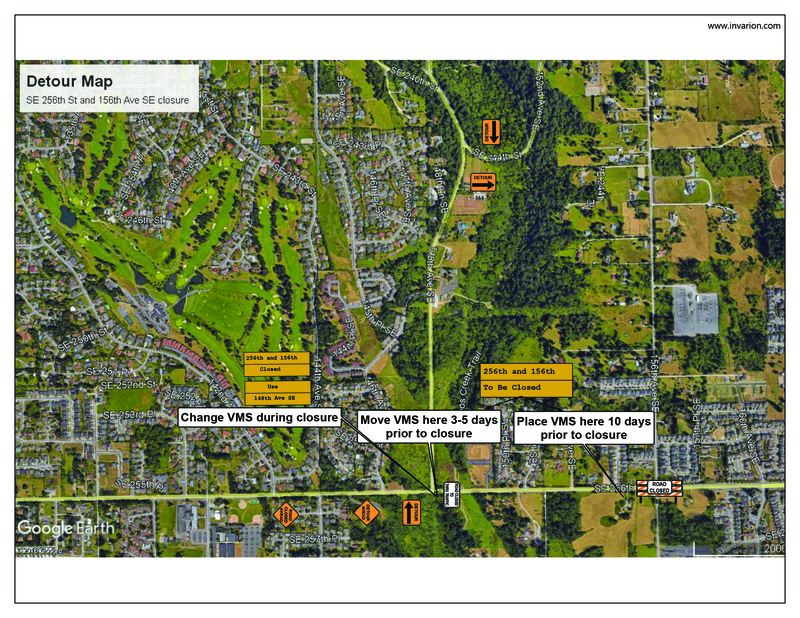 Detours for this closure will occur at 148th Ave SE, SE 240th St. and 164th Ave SE. 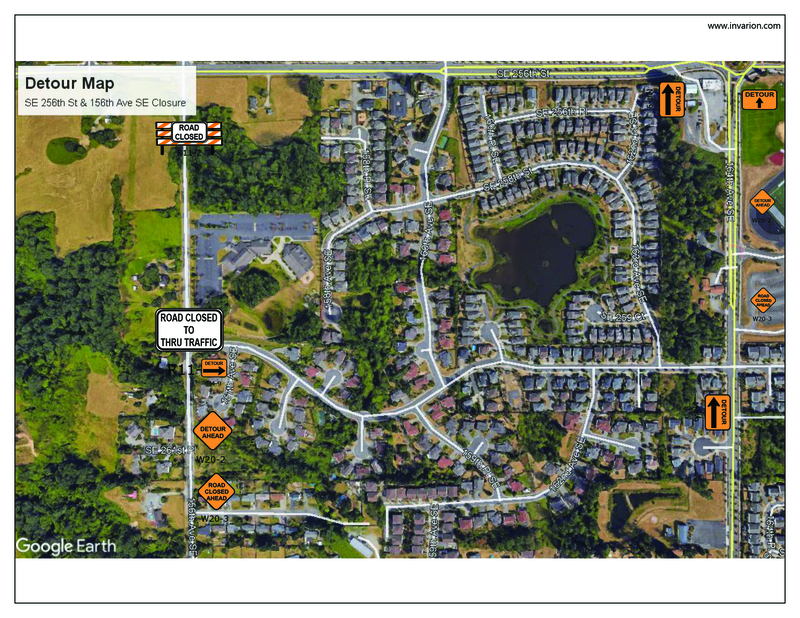 If you do not live in this area, please consider taking a different route during these dates/times.